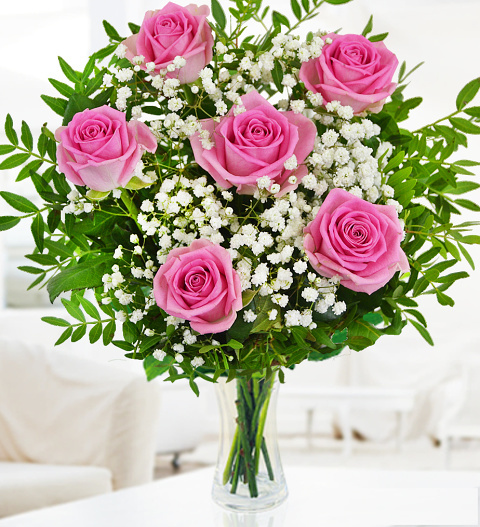 Precious Pink Roses, Gypsohila, and Pistagia all carefully selected by our professional Spanish florists. Send this bouquet as a sign of your affection, to welcome a new baby girl, or even for occasions like birthdays. Available for next day delivery in Spain, this bouquet is sure to make her feel pampered!